I love surprises. Things that turn into other things are the best. Which is why I’ve seen all the Transformers movies. Even the ones that are not so good. Story line aside, giant robots are pretty much always a win. Anyway, This Book is a Camera isn’t exactly here to defend the Earth but it’s still pretty neat. It’s exactly what it says on the cover. 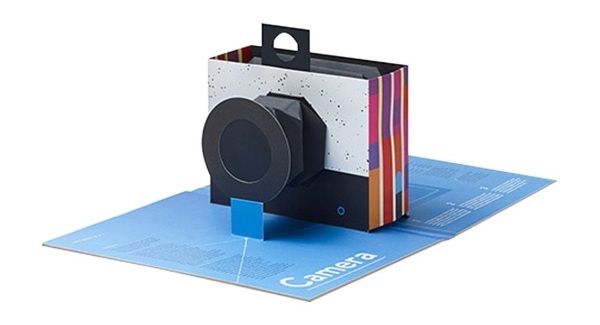 The book is actually a working pinhole camera for your photography needs. Well, not “needs” really so much as an experiment on the relationship between design and function. Regardless, it’s neat. It can take five photos which you then develop yourself with household supplies or special photo chemicals. 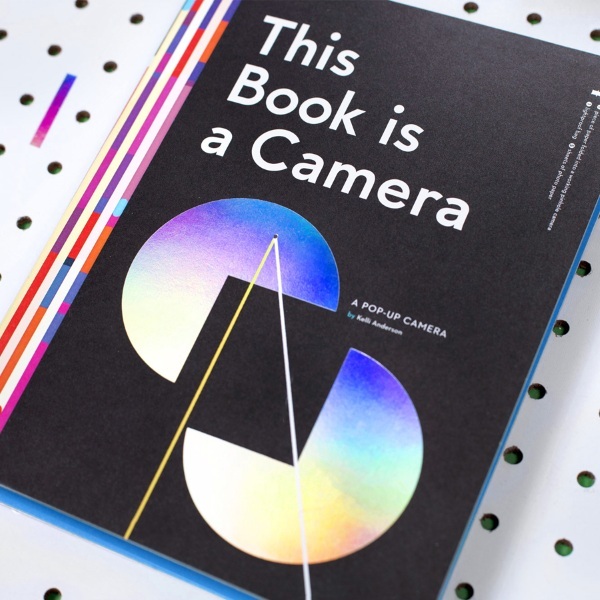 The book is folded into the camera and comes with a lightproof bag. How this works is explained in the book. This is a pinhole camera so your shots will be a little dark, a little mysterious. Save them for something cool. You can preorder this for $29 and they ship next month.